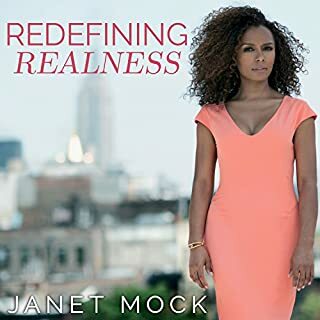 With unflinching honesty and moving prose, Janet Mock relays her experiences of growing up young, multiracial, poor, and trans in America, offering listeners accessible language while imparting vital insight about the unique challenges and vulnerabilities of a marginalized and misunderstood population. At the beginning of his physical transition from female to male, then-17-year-old Skylar Kergil posted his first video on YouTube. In the months and years that followed, he recorded weekly update videos about the physical and emotional changes he experienced. Skylar’s openness and positivity attracted thousands of viewers, who followed along as his voice deepened and his body changed shape. Through surgeries and recovery, highs and lows, from high school to college to the real world, Skylar welcomed others on his journey. More narratives like this, please. 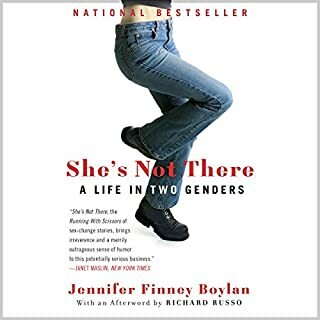 Written by a social worker, popular educator, and member of the transgender community, this well-rounded resource combines an accessible portrait of transgenderism with a rich history of transgender life and its unique experiences of discrimination. Chapters introduce transgenderism and its psychological, physical, and social processes. They describe the coming out process and its effect on family and friends, the relationship between sexual orientation, and gender and the differences between transsexualism and lesser-known types of transgenderism. A great primer for everyone! In Trans Like Me, CN Lester takes listeners on a measured, thoughtful, intelligent yet approachable tour through the most important and high-profile narratives around the trans community, turning them inside out and examining where we really are in terms of progress. From the impact of the media's wording in covering trans people and issues to the way parenting gender variant children is portrayed, Lester brings their charged personal narrative to every topic and expertly lays out the work left to be done. Transforming: The Bible and the Lives of Transgender Christians provides access into an underrepresented and misunderstood community and will change the way listeners think about transgender people, faith, and the future of Christianity. By introducing transgender issues and language and providing stories of both biblical characters and real-life narratives from transgender Christians living today, Hartke helps listeners visualize a more inclusive Christianity, equipping them with the confidence and tools to change both the church and the world. Ben Barres was known for his groundbreaking scientific work and for his groundbreaking advocacy for gender equality in science. In this book, completed shortly before his death, Barres (born Barbara Barres in 1954) describes a life full of remarkable accomplishments. Barres recounts his early life and felt even as a very young child that he was assigned the wrong gender. After years of being acutely uncomfortable in his own skin, Barres transitioned from female to male. It was after transitioning that he realized how differently male and female scientists are treated. On the surface, Niru leads a charmed life. Raised by two attentive parents in Washington, DC, he's a top student and a track star at his prestigious private high school. Bound for Harvard in the fall, his prospects are bright. But Niru has a painful secret: He is queer - an abominable sin to his conservative Nigerian parents. No one knows except Meredith, his best friend, the daughter of prominent Washington insiders - and the one person who seems not to judge him. Meet Laurie Suzanne Scott. She is both an evangelical Christian and transgender. Raised in a devoutly Christian home, she endured the unbelievably difficult and complicated odyssey of finding her identity as a woman...without losing her identity in Christ. A journey she barely survived. In God Doesn't Make Mistakes: Confessions of a Transgender Christian, Laurie tells her story of growing up playing a role as unnatural to her as the body with which she was born. 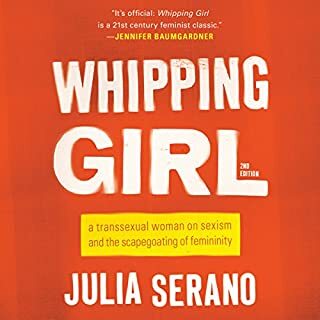 A timely and captivating memoir about gender identity set against the backdrop of the transgender equality movement, by a leading activist and the national press secretary for the Human Rights Campaign, the nation's largest LGBTQ civil rights organization. With emotional depth and unparalleled honesty, Sarah shares her personal struggle with gender identity, coming out to her supportive but distraught parents, and finding her way as a woman. She inspires listeners with her barrier-breaking political journey that took her, in just four years, from a frightened, closeted college student to one of the nation's most prominent transgender activists walking the halls of the White House, passing laws, and addressing the country in the midst of a heated presidential election. She also details the heartbreaking romance with her first love and future husband Andy, a trans man and activist who passed away from cancer in 2014, just days after they were married. 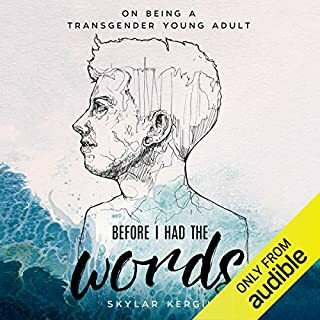 Sarah's story of identity, love, and tragic loss serves as a powerful entry point for listeners who want to gain a deeper understanding of gender identity and what it means to be openly transgender. From issues like bathroom access to health care, identification, and schools, Sarah weaves the important political milestones, cultural and political debates, and historical context into a personal journey that will open hearts and change minds. 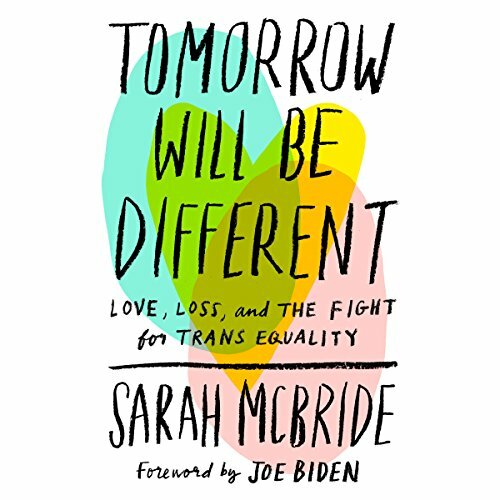 Tomorrow Will Be Different highlights Sarah's work as an activist and the key issues at the forefront of the fight for trans equality, providing a call to arms and empowering look at the road ahead. The fight for equality and freedom has only just begun. Sarah McBride's story is a must read for political junkies looking for a light at the end of the bigotry tunnel. OH My Goodness!!! Sarah - you are amazing! Thank you so much for sharing your story, your passion and your support for the trans community. Tomorrow will be different! Change is happening, even in the current political environment we are making progress. 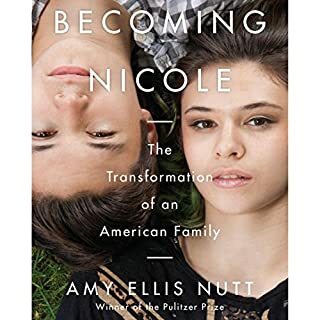 This book touched my heart on so many levels - your personal story - your love for Andy - your fight for the community at large and the life you lead today to help change minds through relationships. I've long held an interest in politics but the bitterness and hate spewed from both sides is such a struggle. You showed us how to be gracious but firm and have not given up! Thank you! As the parents of a trans son, we are reading (listening) to everything we can. Educating and informing ourselves is our priority. Sarah opening up in this way makes her so incredibly vulnerable and completely authentic at the same time. The description and detail of her, and what became her and Andy’s journey is so inspiring and moving. There were times that what she is saying is so private and painful that I felt like I wasn’t in a space worthy of hearing this information, for example on the train commuting to work. This book is amazing and you will find yourself laughing, crying, and cheering alongside Sarah. We, like the majority of people, didn’t know much about the trans community before our son came out to us, just about a year ago. Because of our son’s courage, our other 2 children also had the courage to come out, and be open about their sexuality. 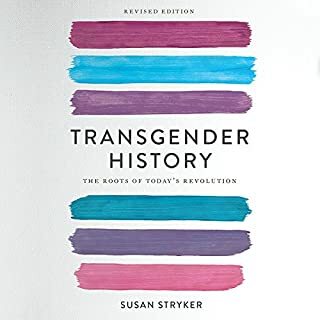 I recommend this book no matter what your familiarity with trans, gender non-conforming people is. You will definitely come away with a greater understanding. Thank you Sarah!! Thank you Andy! loved it. positive, realistic. a few sad parts. the author did a great job narrating. Eye opening, informative, and heart filling. This book should be a mandatory read for anyone in this modern world. Sarah's story is impressive for any young person, let alone someone who is battling discrimination. Her self awareness and educated point of view sheds a realistic light on some serious societal problems. I'll absolutely be recommending this one. Sarah McBride does not disappoint as she recounts her beautiful, heartbreaking, and empowering journey. I am eternally grateful that she is championing for equality. As a transgender male, she gives me hope that tomorrow will be different. What an amazing and powerful story, told by a remarkable and talented person! It evoked many tears, but was well worth it. Sarah’s journey is inspiring on many levels and has lit a fire under me to do more to ensure equal rights for all. Everything about this book is AWESOME! So inspiring and hopeful and informative and moving! Please read this, especially if you struggle to understand the experiences of trans folks.